You are here: Home / Business Loans / Application For Business Loan Rejected? Here’s What To Do Next! Application For Business Loan Rejected? Here’s What To Do Next! As a small business, often times, the best recourse to meet immediate funding requirements is to apply for a business loan. Since banks usually demand a collateral against the loan, small businesses approach NBFCs and such other institutions that offer business loans without security. Different institutions have different criteria to decide if a business is eligible for a business loan, in addition to a list of essential documentation. However, ultimately, it all comes down to the lender’s confidence in the business’s ability to repay the loan. It is possible that a business’s application may get turned down – this could owing to many reasons, such as a bad credit score, unsound financial health, insufficient proof of identification, etc. However, rejection does not warrant losing hope. It actually serves as a reason to take stock of the business and work on a plan of action. 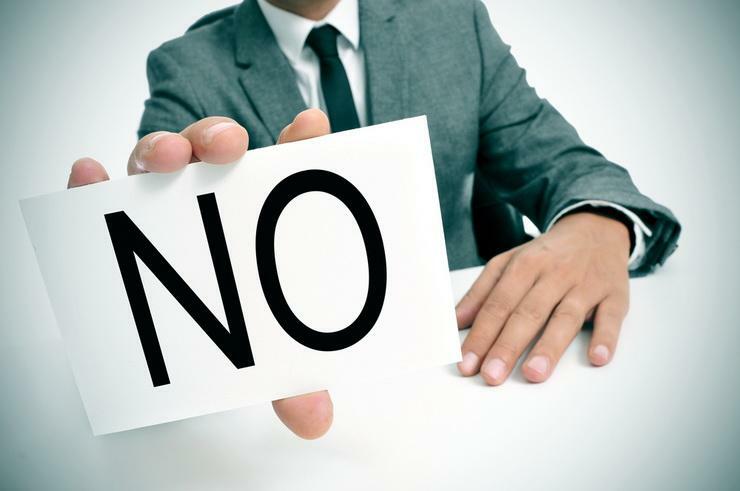 Let’s take a look at some of the steps a business can take to rise above rejection. If your business loan application is rejected, it is not the end of the world! Following the steps below can ensure eventual success. No Credit History: If the business is new, it is possible that it may not have any credit history. The lending institution needs to evaluate the business’s creditworthiness to see if the business is capable of repaying the loan or not. In the absence of a credit history, the lending institution might find it difficult to know for sure that the business is worth lending to. Bad Credit History: Having a poor credit history is worse than having none at all. The lending institution will not take a risk by offering a loan to a business that has a bad track record. Too Much Credit: If the lending institution sees a business having a lot of accessible credit, it may become suspicious that the business might become debt-ridden in the future. This is risky for the lending institution and it will reject the loan application. Incorrect Business Details: Simple mistakes like errors in the name or address of the business or differences in the details provided by the business and the documents submitted for verification could lead to rejection by a lending institution. Unfavourable Financials: All lending institutions ask for the financial statements of the business to evaluate its soundness. Problems in cash flow and other fundamentals can lead to the institution’s distrust in the business. Risky Industry: The lending institution might also reject a business’s application after assessing the risk involved in investing in your industry. Knowing the specifics also helps in determining if the lender has rejected the business for the right reasons or not. It is possible that the lender could have rejected the business because it is new, and the lender prefers established businesses over startups. In such a case, the business can approach another lending institution. Some of the major reasons for rejecting a small business loan application are, having a poor cash flow, no profitability or lack of revenue. 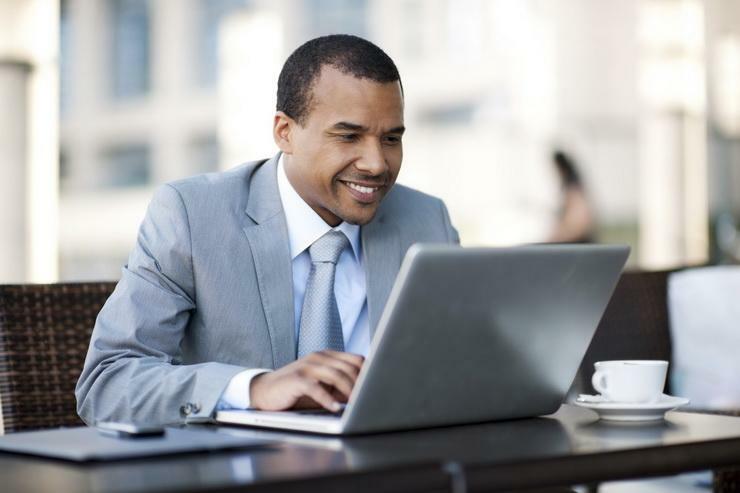 These are crucial for the financial health of a business and must be sound. The business’s ability to repay the business loan depends on a healthy cash flow, as well as a lush bottom line. If the business is rejected, it should try and focus on getting the business fundamentals right. In case of unsecured business loans, the business’s credit score and past record play a very important role in determining its eligibility. 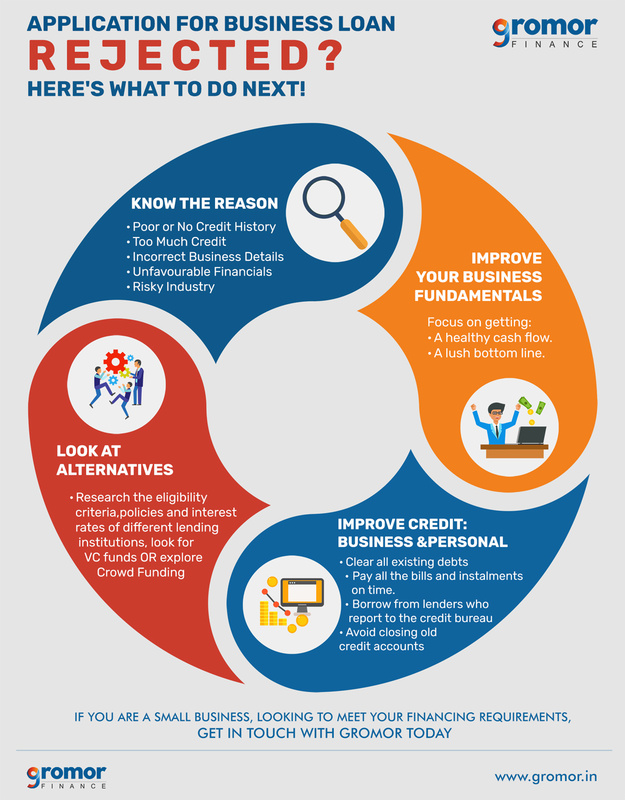 To make sure that the business’s business credit score is sound, it should start acting on clearing all existing debts, paying all the bills and installments on time, etc. If the business lacks a credit history, or if the credit history is limited, the business owner can opt for a credit card either for personal or business expenses and make sure that all payments are made on time. If the lending institution observes that the business is trying to improve its credit score, it might reconsider the application. While looking at various alternatives for a business loan at the same time may be damaging to the business’s credit score, it is ideal to research the eligibility criteria, lending policies and interest rates of different lending institutions. It is ideal for startups to consider crowdfunding or angel investors for seed funding. Established businesses could look at other institutions for loans. Gromor Finance offers quick, unsecured business loans to businesses looking to meet their funding requirements. With simple eligibility criteria, minimum documentation and transparent online process, a small business can obtain a business loan within 3 days! Rise above rejection, work towards growing your small business – get in touch with Gromor!